1. For the Cashew Mayonnaise - blend all the ingredients together until smooth, put in the fridge to chill. 3. Slice the aubergine in half (lengthways) and score the flesh. In a separate bowl mix the harissa spice with olive oil to form a paste, and spread over the aubergine. Season lightly and bake for 20-25 minutes. 4. When you're ready to serve, sprinkle the dukkah over the cooked aubergine. Place on a bed of fresh rocket and dress with the cashew mayonnaise. Enjoy with a twist of lemon if you like. Body sunscreen is integral to our health and wellbeing, even more so on holiday in long hours of sun exposure. What many may not be aware of is our skin still tans while wearing sunscreen and that’s because none offer 100 per cent protection. This is why there should never be a debate about whether to use or not use the stuff. The main culprits of skin damage are ultraviolet or UV rays, more specifically UVA and UVB. To break it down: UVA is 95 per cent of the UV radiation reaching the earth’s surface. The waves are longer so they penetrate right down to the hypodermis tissue. UVB are short waves that cause sunburn and skin-reddening, which can lead to forms of skin cancer. There is also infrared, and that is 55 per cent of the light that hits your skin daily, which penetrates through to the deepest subcutaneous layer. What to look for in a body sunscreen? 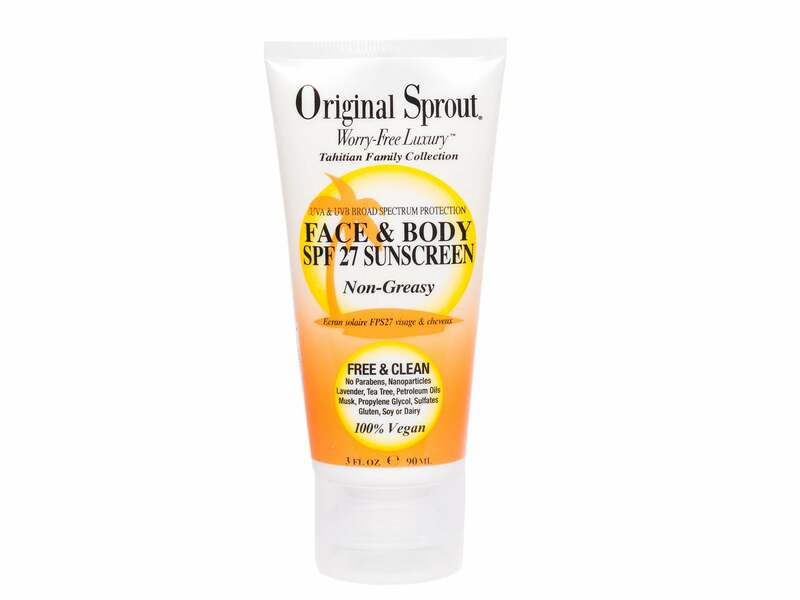 Always buy “broad-spectrum”, meaning UVA and UVB protection. The SPF number is the protection from UVB, and the Skin Cancer Foundation considers “SPFs of 15 or higher acceptable UVB protection for normal everyday activity, and SPFs of 30 or higher acceptable for extended or intense outdoor exposures”. UVA does not currently have an FDA-approved measurement standard, but Japan has. It is called PA, an abbreviation for Protection Grade of UVA, ranging from a low protection PA+, moderate PA++ and high PA+++. Not all sunscreens use the Japanese rating system, but just make sure to get one that has the UVA stamp. The next decision you need to make is what form of sunscreen (gel, spray, cream, oil, stick) and for what purpose (sport, sensitive skin, vegan). If you are going to either sweat a lot or get wet, a waterproof is advisable, and if you are going to be sitting in direct sunlight during peak hours of 11am to 4pm it is probably best to use a high factor cream or oil to give yourself maximum protection. Rules of application for all of these are the same, including applying half an hour before entering the sun and topping up after two hours. Another point to note is sunscreen expires after three years, so don’t risk wearing ineffective lotion. There are three kinds of sunscreen – mineral (sometimes called physical), chemical/synthetic and ones that combine both. Mineral means the natural active ingredients blocking UV rays are zinc oxide or titanium oxide and sit on top of the skin to reflect UV light away. Chemical normally involves a combination of two or more of these active ingredients – oxybenzone, avobenzone, octisalate, octocrylene, homosalate and octinoxate. These absorb into the skin and convert the UV rays into non-damaging light and heat. People with skin conditions tend to prefer mineral sunscreens as they prove to be less of an irritant. Combination strive to offer a best of both. It’s important to note that there’s nothing better or worse about either mineral or chemical sunscreens, just what will work best on your skin. Cosmetic consultant Dr Ross Perry of Cosmedics Skin Clinics said: “According to Cancer Research UK, melanoma skin cancer incidence rates have increased by half over the last decade in the UK. 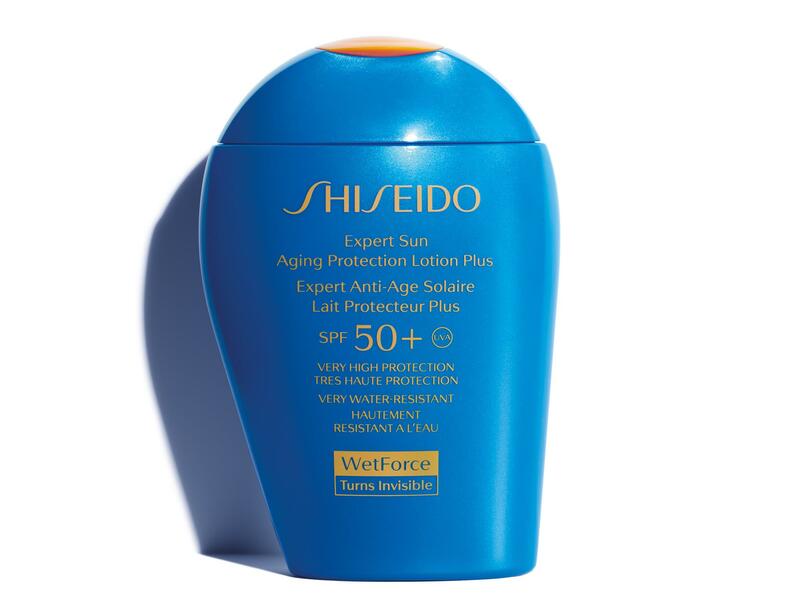 “Factor 50 is classed as very high protection – it is strongly recommended for children, the elderly, those with prior history of melanoma and those exposed to intense sun or in the sun for a long time. If you are just nipping to the shops and not in an ‘at risk’ group, then a factor 30 would be fine – but don’t skip the sunscreen altogether. You will tan even with sunscreen; it may appear that your skin is slower to change colour, but the key factor is to tan without burning. Sunburn should never be seen as part of the experience of getting a tan. These body sunscreens were tested on people aged between two and 70 and judged on their absorption speed, appearance, feel, and efficacy during sunlight hours. All of the sunscreens tested were positively received. Some were more favourable than others, based on their consistency and overall appearance, but all provided adequate sun protection during the daylight hours of 11am to 4pm. Created by Dr Marko Lens, with over 20 years experience of researching skin ageing, this broad-spectrum oil is one of the most luxurious around. Offering incredible protection in the hottest midsummer heat, it absorbs quickly, moisturising skin and leaving you with a beautiful glow and a fragrant light citrus scent. Dr Lens uses micro-encapsulation technology, which basically means he encloses organic UV chemical filters within microscopic silica-based capsules. These sit on top of the skin to protect from sunlight. Those with dermatological conditions or allergies could benefit from this oil as it does not penetrate the skin. On testing, we found this to be true, with no skin irritation caused. This oil also contains active ingredients to help repair DNA and stop free-radical damage, which your skin will thank you for in the future. This California-born skincare brand creates 70 per cent certified organic, hypoallergenic, vegan and sustainable sunscreens. The most attractive quality of this spray is the ease of use. A totally transparent coating of protection covers the entire body in less than a minute. This new scent, tropical coconut, is a winner because it smells like holiday in a bottle. It is best to keep applying this one regularly, because the solution is so clear, you can easily miss spraying certain parts of the body. If you’re doing sport it is even more important to keep spraying every 40 minutes because it only lasts that long in water. Being topped up with locally-sourced antioxidants such as cucumber, algae, strawberry, and red raspberry seed oil for enhanced UV protection is an added bonus. Oil formulas are great for giving the skin a luminous quality, and this one definitely does that. This luxury Spanish skincare brand has not only created an extremely easy to use product, but one that also smells like fresh oranges, a pleasant change from the familiar light chemical scent. The ease of application is great for sunbathers as it’ll take less than a minute to reapply. We found that applied every two hours, as indicated, there was no burning and it actually enhanced the skin’s colour. There is carrot oil in this formula and vitamins E, F and grape seed oil for antioxidant benefits and skin regeneration. An added bonus is the 100ml bottle, which means you can easily chuck it in cabin luggage for quick getaways. This milky body mist, from the French luxury beauty brand, comes at a hefty price tag, but the quality is undeniable. Around three sprays will provide good coverage, the white milk blending in effortlessly with no residue. It is scented with lavender and geranium that makes it pleasant to wear all day long. The ease of use is one of its real attributes, and it also works on all skin types, including pale or thin skin, which we found did not burn. Its added skin benefits include vitamin E acetate and edelweiss extract, which protect against free radicals and moisturise, along with shea oil, camellia oil and mango extract. If this is within your budget, it's well worth trying, although there are cheaper options that perform equally as well. This Swiss sun care brand has created a range that offers high protection for sensitive skin. 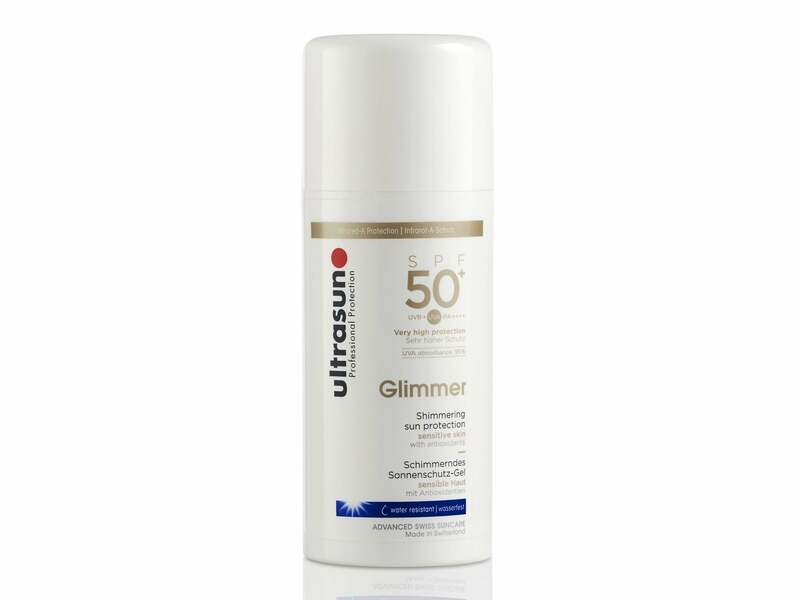 The Glimmer SPF 50+ is particularly special as the reflective shimmer particles seem to last for days, even after washing. Not only that, the cream can withstand harsh temperatures on fair skin, with no burning whatsoever. This is a great for anyone with fair, sensitive skin that needs a strong transitioning cream from spring to summer. It has infrared protection too, which is a massive plus point as this is less common with sunscreen. The only slight annoyance is the length of time it takes to rub in as it’s incredibly white and thick. It doesn’t feel greasy though, but on non-white skin it does leave a slight paleness that isn’t as aesthetically pleasing as some of the other sunscreens. The much-admired sunscreen from the Japanese beauty brand has been made even better with a new gel consistency, meaning it now absorbs invisibly, and includes an added ionic mineral powder in the patented WetForce technology, making it ultra water-repellent once in contact with perspiration or water. This formula even contains technology that converts the smell of sweat into a pleasant odour, and we were surprised to find it worked, with the citrus smell becoming more enhanced during perspiration. It wouldn’t be Japanese without serious skin benefits and this contains Profence CEL, a set of ingredients designed to prevent skin damage, wrinkles and blemishes. The other great thing about it is it can be used on the face – however we wouldn’t advise it if you have easily irritated skin, as this is quite a potent formula. The reality of mineral sunscreen is it’s hard to find a formulation that does not leave a film of white residue on the skin. We were pleasantly surprised to find this 78 per cent organic, mineral sunscreen from the UK natural and organic skincare brand. Scent-free and using titanium dioxide, it rubs in surprisingly quickly, and dries clear. The high factor SPF means it prevents burning. Mineral sunscreens tend to be stickier and greasier than chemical, but this one is not, and although slightly thicker compared to some of the other creams on this list, it is very comfortable to wear all day. A handy 100ml size means it can be taken on airplanes for quick getaways and you even get the added benefits of organic aloe vera, green tea and edelweiss. This one would be best for eczema, psoriasis and acne-sufferers as it doesn’t clog pores. For all the sun-worshippers who will not leave their holiday without a tan, there is Institut Esthederm. The French skincare brand has created a super oil that can be used on body and hair, protects against harsh sun but also allows for a smooth and long-lasting tan. 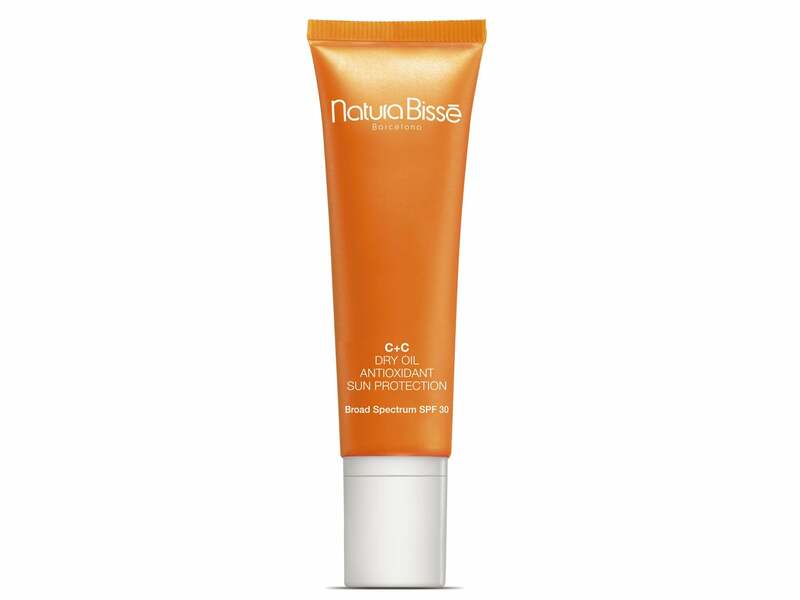 Although this brand doesn’t have a SPF number, it contains patented intracellular protection technology, which has been tested and proved to provide protection from UVA, UVB and infrared rays. It also contains a patented Adaptasun oil technology, which actually improves the skin’s sensitivity to sunlight, allowing more even pigmentation and preventing photo-ageing and dark spots. Anyone who loves sunbathing should definitely try this oil as it makes the skin look instantly radiant, but really promotes the integrity of your tan, which will last at least a good few weeks longer than normal – a nice bonus. Monaco-founded sun and beauty company Lancaster developed their first sun range in 1971, and it’s still as popular as ever. 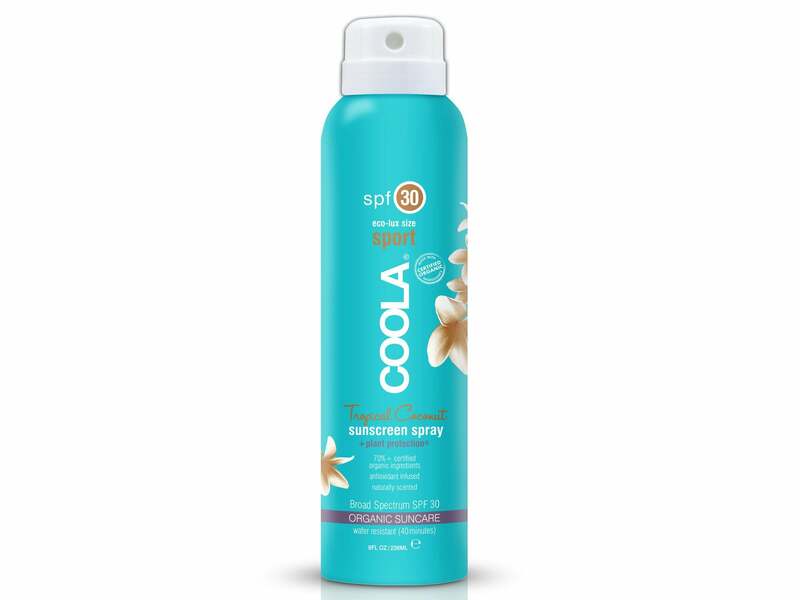 They have a fantastic range of sports sunscreens, which are always in high demand. This roll-on is so handy to pop in any bag as it comes in a 50ml size. The gel consistency is slightly white but rubs in smoothly to form a protective film on the skin. This is ideal for active outdoor people because it’s not heavy to carry around and is quick to apply. 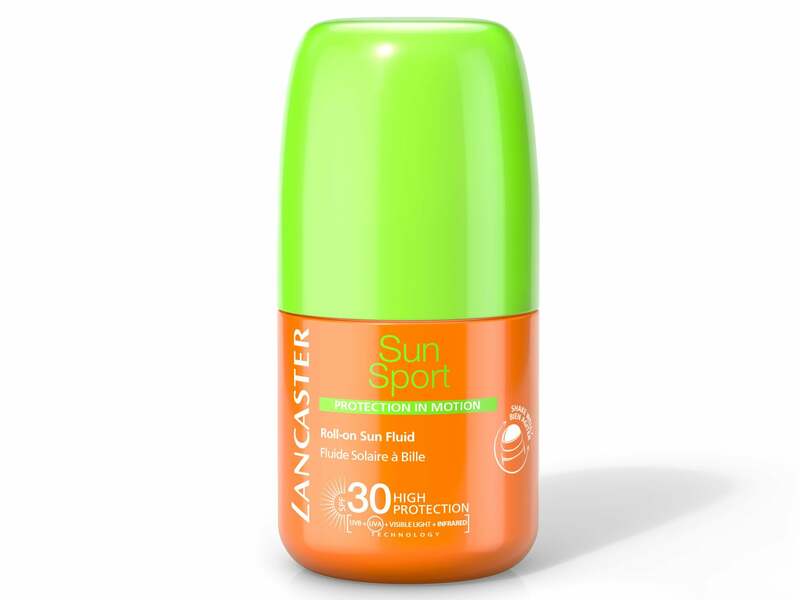 Lancaster boasts UVA, UVB, infrared and visible light protection – the most defence possible in a sunscreen. The Tan Activator Complex, which promotes an even tan, is an added benefit as well as being formulated for face and body, although we would advise people with skin conditions to use a specialised face sunscreen. 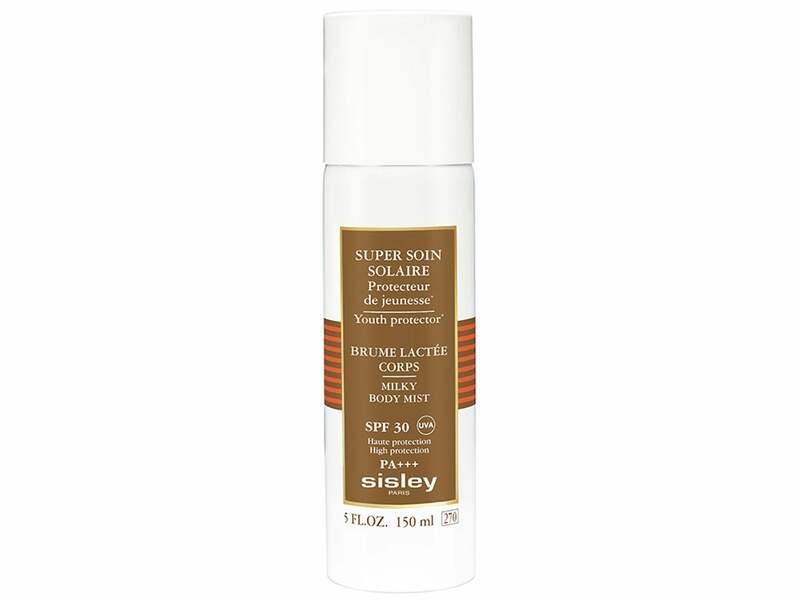 Made with the active ingredient of zinc oxide as the UV blocker, this vegan product is great for the whole family as well as being very affordable. The rosemary and coconut give it a pleasant scent, but application does take a little bit more time as the cream is thick. True to its claim, however, it is not greasy and leaves an invisible finish. The factor 27 proved to be high enough to prevent burning on all skin types, whether young or old. And the 90ml tube is ideal for taking abroad. Being perfume-free as well as having no petroleum or dyes means this is very good for troublesome skin. It claims to be good at clearing acne, eczema and dryness, and while we found it did not fix skin conditions, the cream did not irritate the skin at all. A good cream is possibly the hardest thing to find in the sunscreen market. But when we discovered this one by the Japanese beauty brand, we were overjoyed. Never one to follow the rule book, this sun cream is special for a few reasons but mainly because it contains Koishimaru silk extract, the rarest Japanese silk, which promotes moisturisation. If that wasn’t enough it has an Advanced Cellular Protector, which uses zinc oxide yet doesn’t leave the skin with a white residue. It genuinely glides on like silk and leaves no stickiness on the skin or hands, and has a light floral fragrance. To top it off it contains a formula called CPX Vital Extract that stops pigmentation and wrinkles from forming. This is not cheap, but if within budget, it may just become your go-to sun cream. 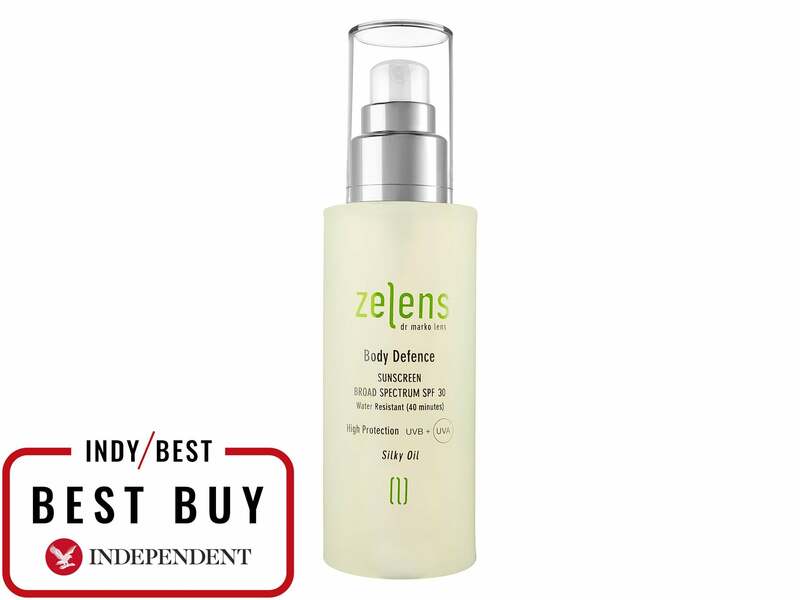 Anyone looking for a results-driven, easy to apply body sunscreen that looks good on will be blown away by Zelens Defence Sunscreen. It isn’t cheap but a little oil goes a long way, and you will find it will last for more than one summer. However, those in need of an affordable cream that is worry-free, pleasant to wear and suitable for the whole family should look to Original Sprout.